Building trust and confidence for over 50 years. When Federal managers and military leaders face tough challenges in cyber, data collection & analytics, enterprise IT or systems and software engineering, they turn to ManTech as their preferred partner. Our government customers have been working with us for years, and in some cases decades, because we understand their needs and know how to tackle their hardest challenges. Achieving your goals by supporting complex operations is our ultimate objective. We’ll scale to handle your mission your way: agile, precise, efficient and fast. 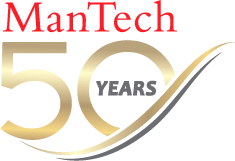 ManTech’s employees make up some of the nation’s most skilled workforce in the industry. Explore careers and find out why ManTech is known for being an employer of choice from education, training and benefits to exciting opportunities to serve our nation.